Edward H. Akehurst was born at West Hoathly, Sussex around 1841, the son of John and Elizabeth Akehurst (born c1803, Arlington). When the 1861 census was taken, Edward H. Akehurst was recorded as living at St Mary's Lane, Lewes with his mother and brother Bartholomew Akehurst (c1831-1862). On the census return, Edward H. Akehurst is described as a "Photographer", aged 20. Edward Akehurst might have later emigrated to Canada. The Canadian census of 1881 gives details of an "Edward Akehurst", an England-born "cabinet maker", aged 40, living at an address in Toronto. Henry John Bartlett was born at 4 Lansdowne Terrace, Lewes, on 6th March 1878, the son of Ann and Walter John Bartlett, the local Inspector of Weights & Measures. Walter John Bartlett (born 1847, Lewes) had married Ann Maria Barnden (born 1847, Brighton) in her home town of Brighton in 1877. 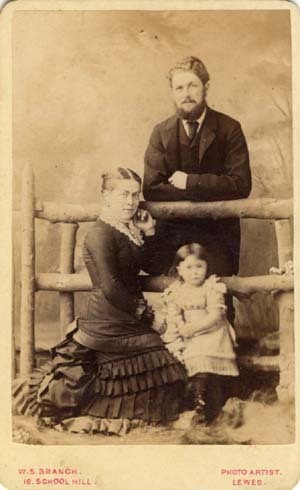 Henry John Bartlett, the couple's first child, was born in Lewes the following year. A daughter, Mary Maria Bartlett was born in Lewes early in 1881. The 1881 census records Walter Bartlett, his wife Annie, and their two children at 4 Lansdowne Terrace, Lewes. By 1901, Henry John Bartlett was residing in South Malling and working as a solicitor's clerk. 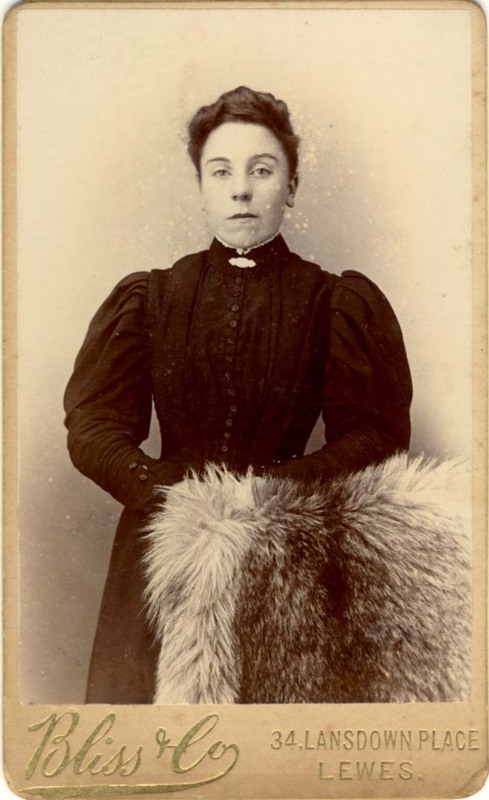 On 3rd June 1901, Henry Bartlett married Beatrice Helena Osbon (born 1872, Lewes), the daughter of Ann and Thomas John Osbon (1831-1900), a Police Superintendent. Henry John Bartlett was not a full-time professional photographer. According to Rendel Williams author of the Sussex Postcards Info website, Henry Bartlett first took up landscape photography in the 1890s when he was a young man and after his marriage, he set up a photographer's darkroom at his home. Although Henry Bartlett took hundreds of photographs of Lewes and the surrounding area, between 1908 and 1913, he never abandoned his legal career. A document of 1915 still describes Henry John Bartlett as a solicitor's clerk in Lewes. Henry John Bartlett died in Lewes on 20th December 1965, at the age of 88. A number of Henry Bartlett's original photographs are held by the Sussex Archaeological Society. 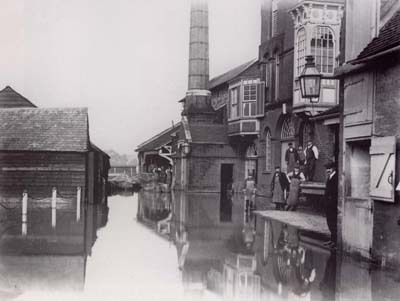 [ABOVE] Henry John Bartlett's photograph of Harvey & Son's Brewery at Bridge Wharf, Cliffe High Street, Lewes, during the floods of 1909. [ABOVE] Edward John Bedford (1865-1953), artist, naturalist, art teacher and photographer. [ABOVE] One of E. J. Bedford's photographs of a moving train. Edward John Bedford was one of the pioneers of railway photography. Although it is recognised today that Edward John Bedford revolutionised the art of railway photography, very few of his photographs of railway locomotives were published in his lifetime. Edward John Bedford was born in Lewes, Sussex, in 1865, the eldest child of Rosamond and Edward Bedford, a grocer of Fisher Street, Lewes. Edward Bedford senior (born c1839, Southgate, Middlesex) had married Rosamond Randall (born c1836, Soho, London) at Lewes in 1863. Edward John Bedford was born in Lewes during the 1st Quarter of 1865. Edward John Bedford was the eldest of five children. 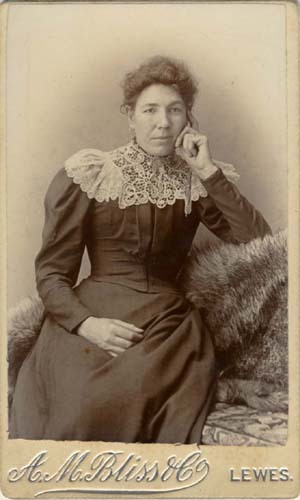 Edward had four younger sisters - Rosamond Ann (born 1866), Amy Elizabeth (born 1869), Kate Matilda (born 1872) and Florence Randall Bedford (born 1874). A talented artist, Edward John Bedford attended the Lewes School of Art in Albion Street and by 1881 he was working as a "Pupil Teacher" at the same establishment. The 1881 census records Edward John Bedford as a sixteen year old "Pupil Teacher" at the School of Art, residing with his parents and sisters at Edward Bedford senior's Fisher Street Grocery Store in Lewes. In 1883, Edward John Bedford left the Lewes School of Art to take up a teaching post at the Brighton School of Art, where he developed a strong interest in photography. When the Lewes Photographic Society was established on 31st July 1888, Edward John Bedford became the Society's Secretary and Treasurer. During the 1880s and early 1890s, Edward John Bedford was very active as a photographer, taking particular interest in railway locomotives, nature and the social and cultural life of his home town and the surrounding area. Edward Bedford began taking photographs of railway locomotives in the 1880s and by the end of the decade he was taking impressive photographs of moving trains, using techniques which "revolutionised railway photography". Edward Bedford also became renowned for his photographs of flowers, birds and trees. ( Edward Bedford's watercolours of orchids were give to the Natural History Museum on his death in 1953). 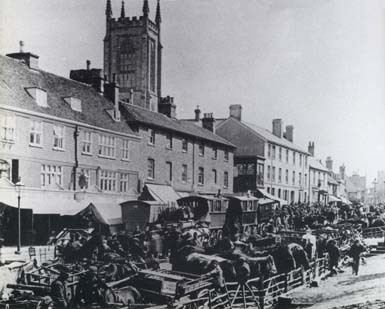 Edward Bedford took many photographs of the buildings of Lewes and recorded with his camera various social events across Sussex, including the Lewes Sheep Fair and the Annual Fair at East Grinstead. In 1892, Edward John Bedford moved to Eastbourne to take up a teaching post at the Eastbourne Municipal School of Art and Design. The 1901 census of Eastbourne records Edward John Bedford as a thirty-six year old "Art Master". Edward Bedford continued his interest in photography and in 1909 he produced an illustrated guide entitled "Nature Photography for Beginners", containing "nearly one hundred stereoscopic illustrations from photographs by the author". In 1915, Edward John Bedford returned to Lewes where he set up a studio and taught photography. Edward Bedford was appointed Principal of the Lewes School of Art and taught at the art school until it closed in 1932. 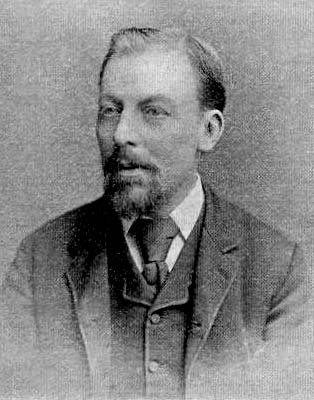 Edward Bedford also became the curator of the Lewes Borough Museum. A Fellow of the Royal Photographic Society (FRPS), Edward Bedford lectured on the subject of natural history photography at the Royal Photographic Society until 1946. 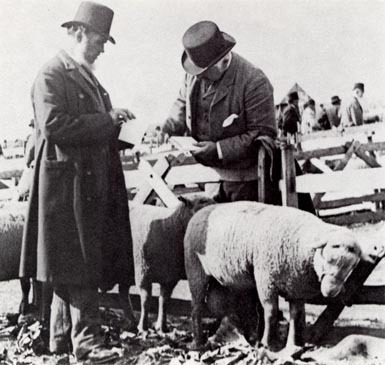 [ABOVE] Two sheep dealers at the Lewes Sheep Fair photographed by Edward John Bedford in 1891. [ABOVE] The Annual Fair at East Grinstead, photographed by Edward John Bedford on 21st April 1896. 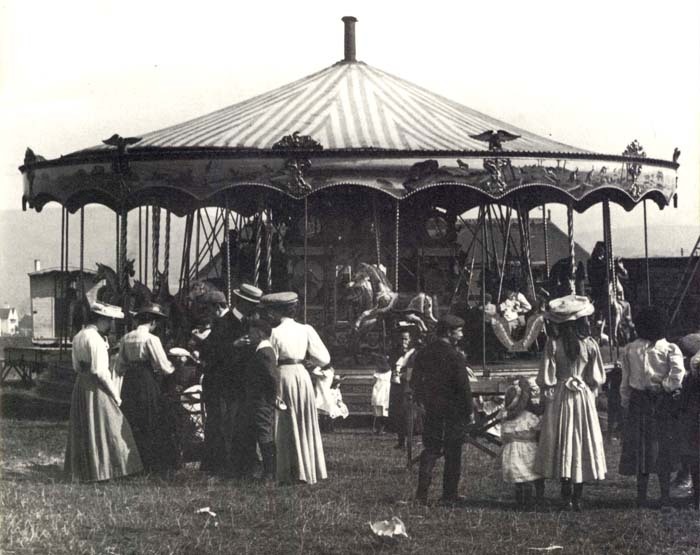 [ABOVE] A steam-powered 'merry-go-round' at the Lewes Sheep Fair , photographed in the 1890s by Edward John Bedford. Daniel Cornelius Blagrove was born in Islington, Clerkenwell, London on 4th October 1821, the son of John Blagrove (born c1781) and Elizabeth Jones. Daniel was baptised on 2nd January 1822 at the Independent Chapel in Upper Street, Islington. Daniel Blagrove has the distinction of being the first person to be recorded as a portrait photographer in Lewes. At the end of May 1851, Daniel Blagrove and his business partner Mr. Moore were taking daguerreotype portraits in a temporary studio near the Brack Mount, an earthen mound, near Lewes Castle. Daniel Blagrove eventually settled in Lewes and by 1855, he was running a tobacconist's shop at 146 High Street, Lewes. From 1859, Daniel Blagrove was taking photographic portraits at 73 High Street, Lewes, probably in a studio at the top of the building. In the 1861 census, Daniel Blagrove is recorded as living in High Street, Lewes with his twenty-nine year old wife, Eliza, and their three young children - Elizabeth, aged five, Daniel, three, and one year old Edwin. Daniel Blagrove informed the census enumerator that he was working as a "Furniture Dealer". No mention is made on the census return of Daniel Blagrove's photography business. However, when Daniel's son Edwin was baptised at St Michael's Church on 11th December 1859, the parish clerk entered Daniel Blagrove's occupation in the register as " turner, cabinet maker and photographer". 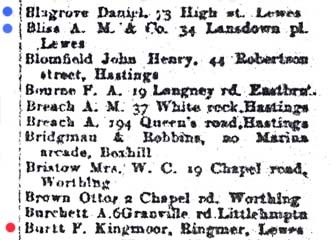 In the trade section of Kelly's 1862 Directory for Sussex, Daniel Blagrove is listed as "Photographic Artist" with a studio at 73 High Street, Lewes. Daniel Blagrove operated a photographic studio at 73 High Street, Lewes for about 40 years. From the late 1870s, Blagrove was assisted in the Lewes studio by his children and in 1885 his eldest son Daniel Blagrove junior joined his father to form the firm of Daniel Blagrove & Son. The death of Daniel Cornelius Blagrove was recorded in Lewes during the Second Quarter of 1899. The register gives his age at death as 75, but according to his baptism record Daniel Blagrove senior would have been seventy-seven years of age when he passed away. At the death of Daniel Blagrove, his eldest son Daniel Blagrove junior took over the running of the studio at 73 High Street, Lewes. [ABOVE] The trade plate of Daniel Blagrove, Photographer of 73 High Street, Lewes, taken from the reverse of a carte-de-visite (c1868). 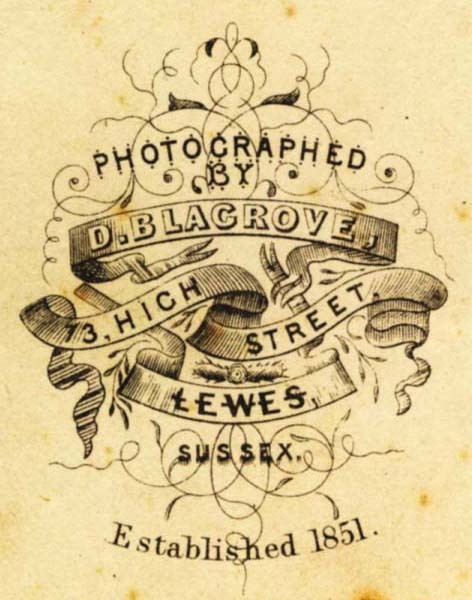 Blagrove reminds customers that he had become established as a photographer in Lewes in 1851, when he visited the town as a travelling daguerreotype artist with his partner Mr. Moore. [ABOVEE] The studio premises of A. M. Bliss & Co. at 34 Lansdown Place, next to the Lansdown Arms public house (c1910). The awning outside Bliss & Co.'s shop advertises "photographic postcards". When this photograph was taken, the studio of A. M. Bliss & Co. was owned by the photographer John Lee Dadford (c1878-1955) and managed by Walter Blink Gardner. It is thought that Alfred Marsh Bliss, the original owner of the studio emigrated to Canada in the 1890s. Alfred Marsh Bliss was born in Cardiff in 1861, the son of Henry and Priscilla Bliss. Alfred's father, Henry Bliss (born c1828 Dursley, Gloucestershire) was a merchant dealing in tea, coffee, spice and fruit. By the time the 1881 census was taken, Mrs Priscilla Bliss was living in London with her three children Henry J. Bliss (born c1860, Monmouth), Louise E. Bliss (born c1860, Monmouth) and Alfred Marsh Bliss, aged 20. Alfred Marsh Bliss moved from London to Sussex some time before 1890. Alfred Marsh Bliss married Ellen Eliza Attree (born 1868, Hove, Sussex) in Brighton during the 2nd Quarter of 1890 and set up home in Lewes. Alfred Marsh Bliss had took over the photographic studio at 34 Lansdown Place, Lewes (previously occupied by the Brighton firm of William Hall & Son) around 1890. The studio at 34 Lansdown Place was situated next to the 'Lansdown Arms' public house, a short walk from Lewes Railway Station. Alfred and Ellen Bliss's first child, a son named Alfred Edwin Marsh Bliss, was born in Lewes in 1890. Alfred Marsh Bliss, his twenty-two year old wife Ellen and baby Alfred were recorded at 34 Lansdown Place, Lewes at the time of the 1891 census. 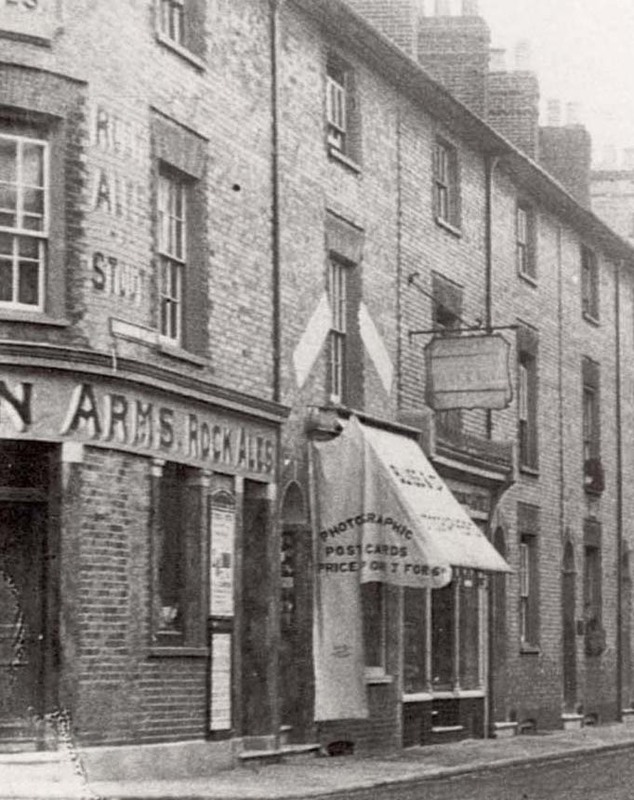 The studio at 34 Lansdown Place, Lewes was listed under the name of A. M. Bliss & Co. right through to the 1920s. Although the studio carried the name A. M. Bliss & Co., the Lansdown Place studio was not occupied by Alfred Marsh Bliss after 1902. The 1901 census shows the occupier of the Bliss Studio as James Worthington (born c1841, Fleetwood, Lancashire), who was assisted by his son Charles Worthington (born 1872, Fleetwood, Lancashire). Rendel Williams has suggested that Alfred Marsh Bliss, the original owner of the Lansdown Place studio, emigrated to Canada sometime in the 1890s. Around 1909, the photographic studio at 34 Lansdown Place, Lewes, passed into the hands of photographer John Lee Dadford (Born c1878, Preston Lancs. ), but the new proprietor retained the studio name of A. M. Bliss & Co. When the 1911 census was carried out, the photographic studio at 34 Lansdown Place, Lewes, was occupied by Walter Blink Gardner ( 1850-1923), a photographer who had run his own photographic studio at 11 Lewes Road, Brighton during the early 1880s. It appears that Walter Gardner managed the Lansdowne studio while John Lee Dadford was engaged in other business ventures. At the time of the 1911 census, John Lee Dadford was residing with his wife and two daughters at 9 Shelley Terrace, Lewes. The photographic studio at 34 Lansdown Place, Lewes, was still listed under the name of A. M. Bliss & Co. in Kelly's Directory of Sussex published in 1924. Rendel Williams believes that Alfred Marsh Bliss, the founder of the business, might have emigrated to Canada in the 1890s. The death of Alfred Marsh Bliss, was recorded in Vancouver, British Columbia on 22nd March 1928. 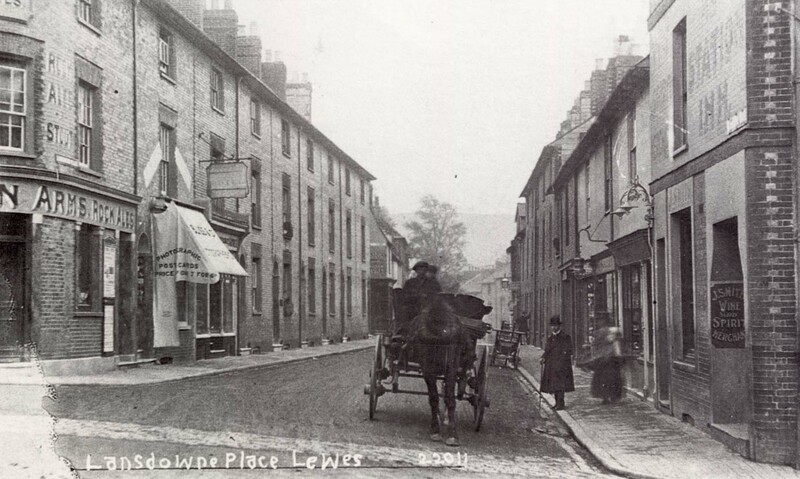 [LEFT] A picture postcard showing Lansdowne (Lansdown) Place, Lewes, around 1910. On the left of the picture, on the corner at the junction of Lansdown Place and Station Street, is the Lansdown Arms public house. Next door to the Lansdown Arms at 34 Lansdown Place is the studio premises of A. M. Bliss & Co. The awning outside Bliss & Co.'s shop advertises "photographic postcards". [ABOVE] A photograph taken around 2002, showing the business premises at 34 Lansdown Place, Lewes. Today the premises at No. 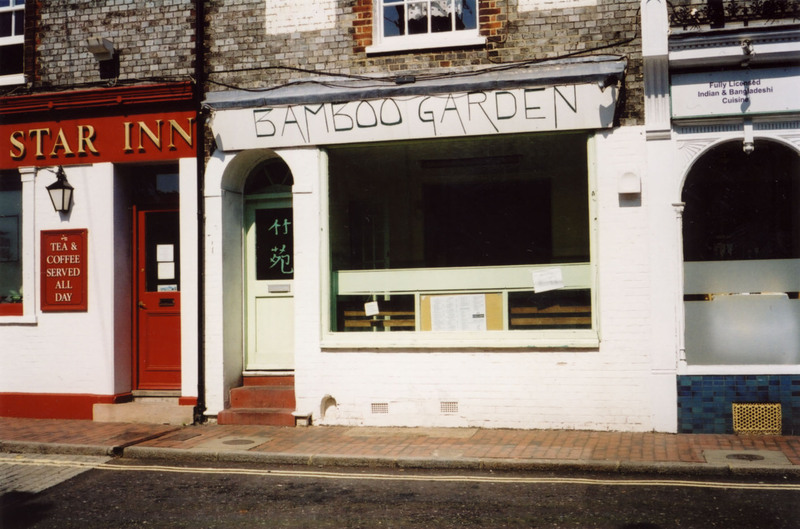 34 Lansdown Place is still occupied by the Bamboo Garden Chinese Restaurant and Take Away Food Shop. When this photograph was taken, the Lansdown Arms had been re-named "The White Star Inn", but the pub has since reverted to its original name. Thanks to Rendel Williams, author of the excellent Sussex Postcards Info website, for providing additional information on the three proprietors of the Lewes studio of A. M. Bliss & Co. Thanks to Rachel Savage, a great, great grand-daughter of the photographer Walter Blink Gardner, for providing the 1911 census details for 34 Lansdown Place, Lewes. William Shelley Branch was born in Hastings, Sussex on 4th July 1854. He was the son of William Branch and Elizabeth Shelley (born c 1826, Lewes). Elizabeth Shelley had married William Branch in Lewes in 1853 [marriage registered in Lewes during the third quarter of 1853]. The newly-weds moved to Hastings, where Mrs Elizabeth Branch started a dressmaking business. William Shelley Branch was born in Hastings the following year. William's brother Henry Edward Branch arrived some six years later [ the birth of Henry Edward Branch was registered in Hastings during the third quarter of 1860 ]. When William Branch senior died, Mrs Elizabeth Branch returned with her two young boys to her home town of Lewes, where she set up a haberdasher's shop in the High Street ( Mrs Elizabeth Branch is listed as a haberdasher in Lewes High Street in an 1866 trade directory ). Some time before 1878, when he was in his early twenties, William Shelley Branch established a photographic studio which spanned No. 47 and 48 High Street, Lewes. Around 1879, William S. Branch sold this studio to Daubigny Hatch (Henry D'aubigny Hatch) and set up a photographic studio at his mother's fancy goods store at 16 High Street, Lewes. At the time of the 1881 census, Mrs Elizabeth Branch and her sons were living at 16 High Street, Lewes (also known as 16 School Hill), the location of the fancy goods shop and studio. Elizabeth Branch is described in the census return as a 55 year old widow, working as a dealer in wool, toys and other "fancy goods". Henry E. Branch, aged 20, gives his occupation as "News Reporter", while his older brother William S. Branch is entered on the census return as a "Photographer", aged 26. 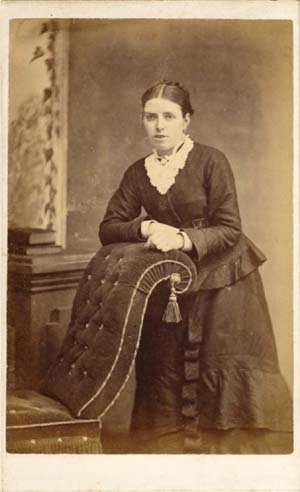 Around 1888, Mrs Elizabeth Branch and her two sons moved to Cheltenham in Gloucestershire. William Shelley Branch was then aged about thirty-four and his brother Henry was in his late twenties. 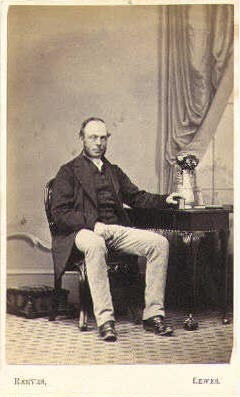 William Shelley Branch established a photographic studio in Suffolk Road, Cheltenham, where he continued in business as a professional photographer for the next five years. Henry Branch, William's younger brother, worked as a journalist for the local newspaper. From around 1895, William S. Branch appears to have abandoned photography for journalism. When the 1901 census was taken, forty-six year old William S. Branch gave his occupation as "Journalist". His brother, Henry E. Branch, is described on the 1901 census return as a "Journalist, SR Editor & Reporter". Henry Branch is remembered today as the author of a study of Gloucestershire entitled "Cotswold and Vale: or Glimpses of Past and Present in Gloucestershire", which was published in Cheltenham in 1904. A keen chess player, William Shelley Branch is known today mainly as a chess historian and the author of an historical survey of the game entitled "A Sketch History of Chess", published in the British Chess Magazine in 1911. 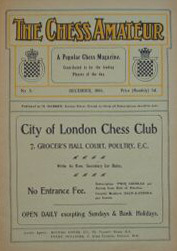 Between 1901 and 1932, William Shelley Branch wrote regular articles on the game of chess for the Cheltenham Chronicle and the Cheltenham Examiner. 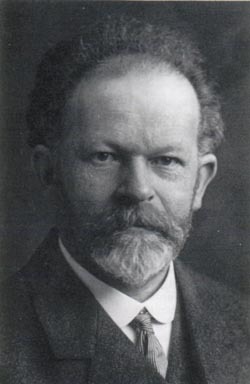 Recognised as an authority on the game, William S. Branch wrote articles on chess and other board games for newspapers at home and abroad. Between 1911 and 1912, William S.Branch wrote a series of articles for the American newspaper The Pittsburg Leader under the general heading of "The history of checkers from the earliest known date. Its evolution and growth ". William Shelley Branch died in Cheltenham, Gloucestershire on 22nd January 1933, at the age of 78. [ABOVE] Portrait of William Shelley Branch (1854-1933), professional photographer in Lewes and Cheltenham and writer on the game of chess. [ABOVE] An early copy of the journal "The Chess Amateur" issued in December 1906. William Shelley Branch wrote regularly for "The Chess Amateur" up until the 1920s. [ABOVE] Portrait of an unknown woman. A carte-de-visite portrait by W. S. Branch of 47 High Street, Lewes (c1878). 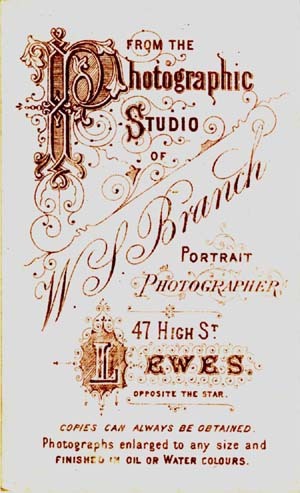 [ABOVE] The reverse of a carte-de-visite portrait by W. S. Branch of 47 High Street, Lewes, advertising his photographic portrait studio (c1878). [ABOVE] A carte-de-visite portrait of four year old George Hinkley by W. S. Branch of 16 School Hill, Lewes (c1881). George William Hinkley was born at Laughton, Sussex in 1877. In 1881, George was living with his aunt and uncle, Mary Ann and Daniel Carey, an agricultural labourer from Chiddingly. George Hinkley became an engineer and emigrated to the USA in 1907. 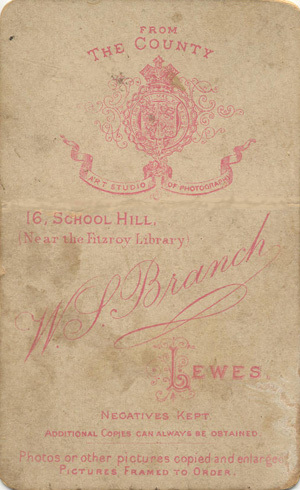 [ABOVE] The reverse of a carte-de-visite portrait by W. S. Branch of 16 School Hill, Lewes, giving the studio's location as "Near the Fitzroy Library".(c1881). [ABOVE] A carte-de-visite portrait of a family group by W. S. Branch of 16 School Hill, Lewes "(c1884). Branch advertised the fact that he photographed groups "by the Instantaneous Process" (dry plates that had exposure times of a fraction of a second). 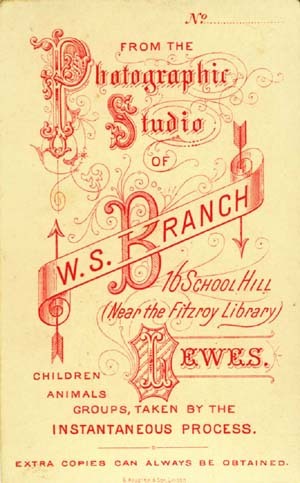 [ABOVE] The reverse of a carte-de-visite portrait by W. S. Branch of 16 School Hill, Lewes, giving the studio's location as "Near the Fitzroy Library" and advertising "groups taken by the Instantaneous Process".(c1885). 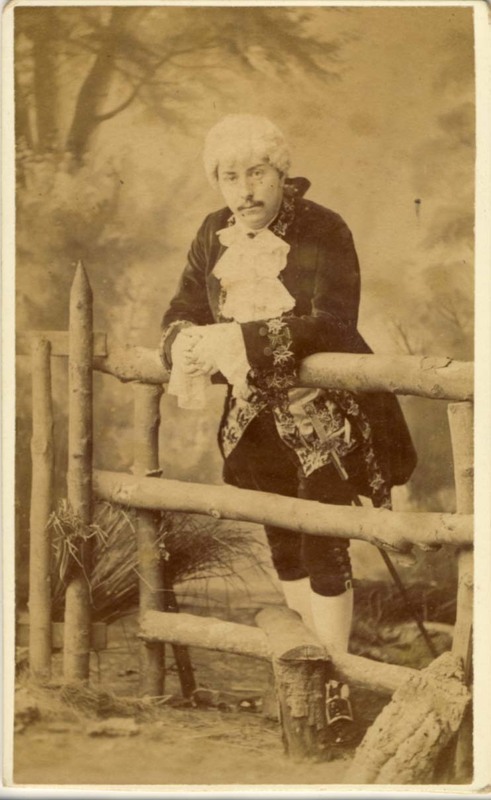 [ABOVE] A carte-de-visite portrait of a man in fancy dress by W. S. Branch of 16 School Hill, Lewes "(c1887). Branch advertised the fact that he photographed groups "by the Instantaneous Process" (dry plates that had exposure times of a fraction of a second). 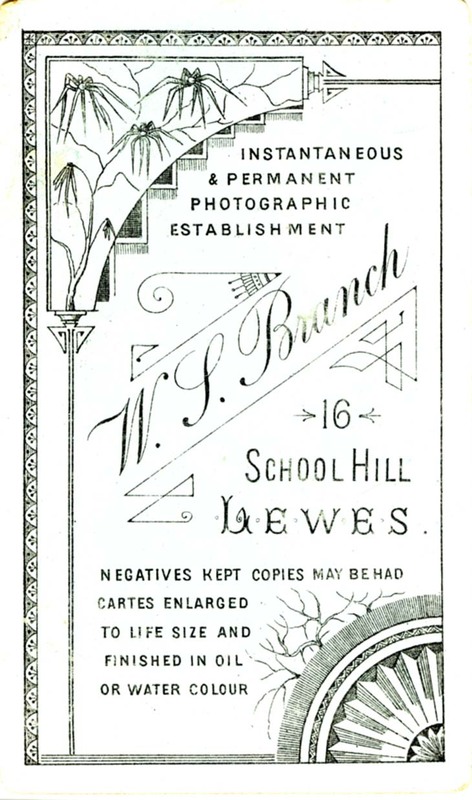 [ABOVE] The reverse of a carte-de-visite portrait by W. S. Branch of 16 School Hill, Lewes, advertising Branch's studio as an "Instantaneous Permanent Photographic Establishment". W. S. Branch's publicity on this card back mentions that his carte photographs could be "enlarged to life size and finished in oil or water colour" (c1887). 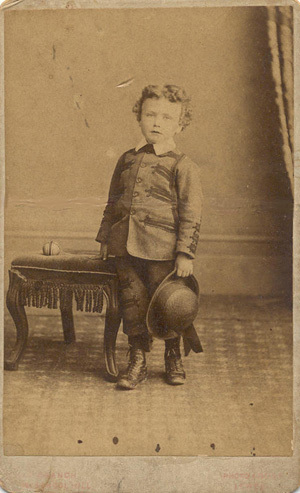 Thanks to Cathleen Fowler for providing the portrait of her great grandfather George William Hinkley, photographed as a young boy by William Shelley Branch around 1881. George Hinkley's mother died when he was young and he was brought up by an uncle and aunt, Daniel and Mary Ann Carey. George Hinkley trained as an engineer and emigrated to the United States in April 1907. George Hinkley became a naturalized American citizen on 9th July 1909. George William Hinkley died in in his seventies in the United States on 12th June,1950. George Frank Burtt was born in Greenwich, Kent, on 22nd March 1871, the son of Emily and George Burtt, a commercial clerk. George Burtt senior (born 1845, Greenwich) had married Emily Sarah Williams (born 1846, Greenwich) in their home town of Greenwich in 1870. George Frank Burtt was born the following year. George Frank Burtt trained as a railway engineer and at the age of twenty-two he was employed as a draughtsman at the Brighton works of the London, Brighton and South Coast Railway. 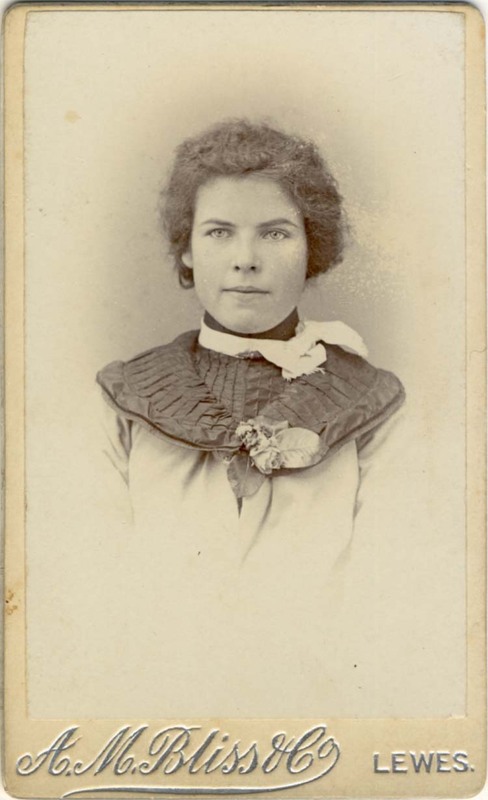 On 24th July 1897, George Frank Burtt married school teacher Millicent Hayler (born 1870, Brighton), the daughter of Louisa and Edward Hayler, an engine fitter working in Brighton. When the 1901 census was taken, George Frank Burtt and his wife were recorded at a cottage in Lewes Road in the village of Ringmer, three miles east of Lewes. George Frank Burtt is described on the census return as a "Railway Engine Draughtsman", aged 30, and his thirty year old wife Mrs Millicent Burtt is entered on the return as an "Assistant School Mistress". Later that year, George Frank Burtt's wife gave birth to a son named Frank Martley Burtt [birth registered in the district of Lewes during the 3rd Quarter of 1901]. 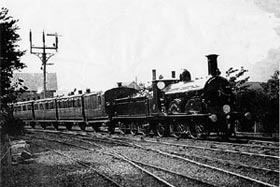 As an employee of the London, Brighton and South Coast Railway, George Frank Burtt was required to take photographs of the steam locomotives built at the Brighton Railway Works. As a part-time photographer, George Frank Burtt took photographic views of Ringmer. According to Rendel Williams, author of the Sussex Postcards Info website, from around 1904, George Frank Burtt supplied his original photographs to two Brighton postcard publishers - The Mezzotint Company of London Road and York Hill, and the Brighton View Company of Clarence Street, Brighton. 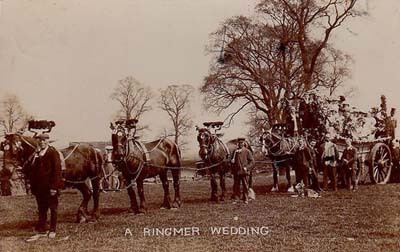 Around 1907, George Frank Burtt advertised himself as a professional photographer in Ringmer. Kelly's 1907 Directory of Ringmer places George Burtt under the heading of "Private Residents" with a home address of Ringmer Road, Ringmer. The Trades Section of Kelly's 1909 Directory of Sussex lists "F. Burtt" as a photographer at "Kingmoor, Ringmer, Lewes". ( George Frank Burtt preferred to be known as "Frank Burtt", but his photographs often carry the initials "G. F. B." and the picture postcards he published carry the credit "Photographed and published by C. F. Burtt, Ringmer, near Lewes - Sussex". Although he is listed as a professional photographer in local trade directories published between 1909 and 1911, George Frank Burtt continued to work as railway engine draughtsman for the London, Brighton and South Coast Railway. The census taken on 2nd April 1911 describes forty-year old George Frank Burtt as a "Locomotive Draughtsman". The 1911 census gives Frank Burtt's address as Tollgate, Ringmer, Lewes, Sussex. Sharing Frank Burtt's home was his wife Millicent, their nine year old son Frank Martley Burtt, a young niece Audrey Jewell Saxby (born 1904, Portsmouth) and a boarder, a twenty-five year old assistant teacher named William Victor May. 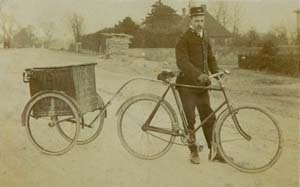 Frank Burtt ended his photography business in Ringmer when he moved to Malling Street round 1912. Frank Burtt's wife Millicent died in Lewes in 1919 at the age of 47. Frank Burtt remarried later that year. [The marriage of Frank Burtt to Mabel Knight took place in Brighton during the 3rd Quarter of 1919. George Frank Burtt died in Brighton on 22nd August, 1949, at the age of 78. [ABOVE] Frank Burtt listed as a professional photographer in the Trades Section of Kelly's 1911 Directory of Sussex. Also listed are the photographic studios owned by Daniel Blagrove junior and A. M. Bliss & Co. The Family Documents website has been created by Roy Edge to enable family history researchers to discover old documents and photographs which might provide information and evidence relating to their particular family history. Roy Edge's Family Documents archive contains a wide variety of primary sources, including cabinet and carte-de-visite photographs, commercial invoices, baptism certificates, programmes, insurance policies, First World War postcards, memorial cards, bibles and new testaments, trade advertisements and National Registration Cards from the Second World War. [ABOVE] A Certificate of Merit for Proficiency in Religious Knowledge presented in 1882 to Ada Bridgland, the eight year old daughter of Thomas Bridgland of Marden, Kent.. This is just one of many old family documents that are featured on Roy Edge's Family Documents website. [ABOVE] A carte-de-visite portrait of a middle-aged man photographed by Edward Reeves of Lewes around 1865. This is just one of many old family photographs that are featured on Roy Edge's Family Documents website. 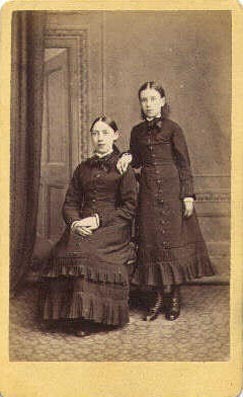 [ABOVE] A carte-de-visite portrait of two girls (probably sisters) photographed by Daniel Blagrove of Lewes around 1880. This is just one of many old family photographs that are featured on Roy Edge's Family Documents website.